As per our Bylaws, Article VI, Sections 9 and 11, members are required to perform 3 hours (minimum) of volunteer/work time at the Club annually. The 3 hours can be split up over multiple work sessions. These hours must be reported to the Club Secretary, upon completion, before the next Club Meeting. Hours not reported, will not count toward the Annual Requirement. Hours and brief work description can be submitted via the form below or emailed to manchestersportsmanclub@yahoo.com. if you have other ideas, please let us know what they are, and we can probably make it happen. 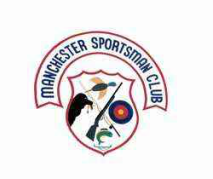 If you will need entry into the Club building, the shed, or anything else, please email manchestersportsmanclub@yahoo.com to arrange access (in advance). Members that do not have a copy of the Bylaws, can contact us for one.